- 45 game prefabs for photorealistic old towen environment. 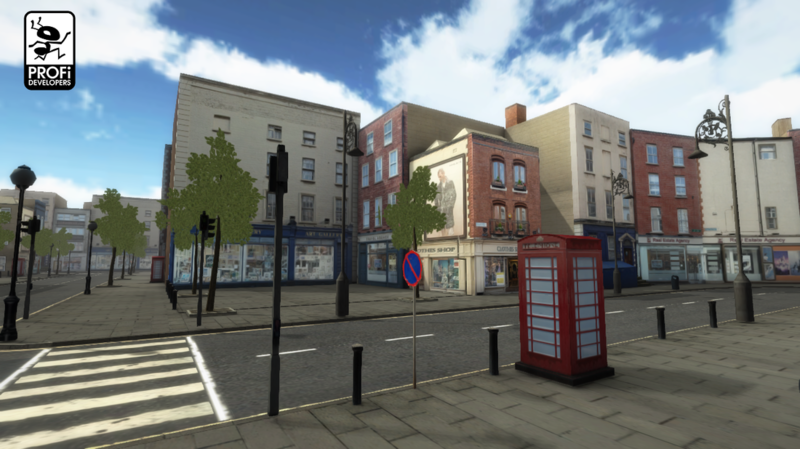 9 pcs textured buildings, 16 pcs modular street, 19 pcs city objects and 1 tree. Package has 54 Textures. Quality suitable for FPS type games on smartphones. - All models have prepared two mapping coordinates. One for the diffuse map and one for the light map. Coordinates were made manually for best result.- For the best performance we recommend swich after Light maps burning materials to mobile versions.